Home / Hey IT! Are you Documenting? Imagine for a moment if someone important to your organization held all the pertinent business information in their head – what would happen if that person was no longer there? With the absence of documentation, all their work, insight, top priorities, and plans, would be lost, and anyone stepping in would be helpless, right? An organization cannot function properly without documentation; especially in IT and networking, where it serves an immeasurably important role. From the help desk technician, all the way to upper management, documentation aids not only as a standard for current work but any future work that might relate to the job at hand. Take, for example, jobs in networking. One isn’t always dealing with a single network, in fact, there could be dozens or hundreds of clients all with different needs and layouts. A lack of documentation can make it nearly impossible for anyone else to step in and continue work on the same task. So, what exactly is documentation and how do you ensure it’s done properly? For starters, documentation is the process of recording data for later reference. In networking, documentation can mean anything from recording the serial number on a device to the configuration files that were used to prepare it for use in a production environment. Further examples of documentation can be found everywhere in the field, including logical network designs, physical building layout, geographical WAN links, and even wire maps; which need to be carefully recorded. The stack of documents attached to one project or service ticket can grow exponentially tall, but skipping out on them can cause future unwanted trouble; anywhere from doing the same work twice to a failure in disaster recovery, resulting in the loss of work. If you’re not documenting, you are setting your organization up for any of these scenarios. So, if you are not documenting, its time to start – here’s how. For starters, having the right tools and using best practices are certain to make documenting an easy process. For example, share files or cloud platforms such as GoogleDrive or DropBox allow users to stay organized. Folders can be created, documents can be updated and shared seamlessly, and the best part, automatic saving, and accessibility from any device, any time! An easy way to begin documenting is to simply write down what you’re doing as you do it, even if it’s just with a notepad; though it’s recommended you convert it to a digital copy later. Write down any mistakes, holdups, or bumps in the work that you’re doing so it can be recreated by somebody else in your organization. Think, what information might be helpful if someone else must complete this same task further down the road. There’s no sense in recreating work for anyone, as it only serves to cost time and productivity. When it comes to best practices, protocol and precaution come to mind. Its important everyone responsible for documenting tasks use the same methods for documenting. This promotes internal alignment and synergy. When it comes to precaution, it is always important to have a hard copy printed; consider doing this for all tasks that are considered complete. It doesn’t go without mention that reviewing documentation for accuracy is equally as important. Always review your notes to ensure your documentation isn’t dated and don’t wait until the end of a big project to do it! Break it up, update as you go, take some time to briefly review the old data, and ensure any changes were recorded. If you keep up to date with your documentation, a brief review at the end of a project could be all that is needed to ensure accuracy, saving your team from having to dedicate a large block of time to the task. What does documentation do for IT? 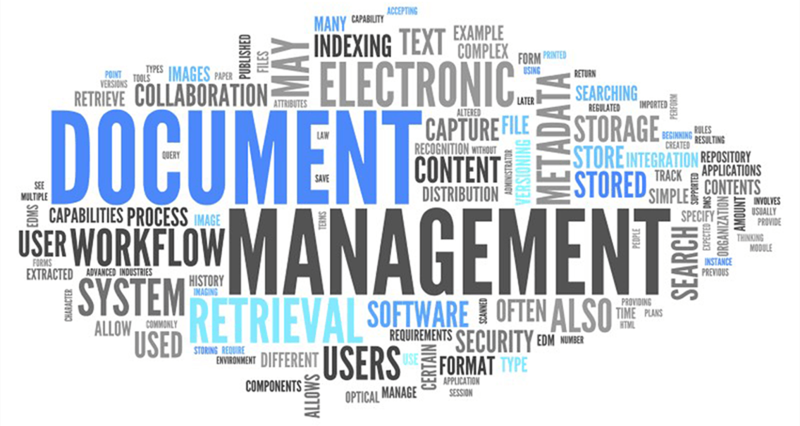 Documentation serves many purposes, but here are a few to highlight. Documentation helps to standardize work processes. It easily identifies smaller details about larger scopes of work. Improves processes and the speed at which tasks are completed. Makes it easier to troubleshoot any problems that might occur. Helps others pick up where one left off. Identifies and solves problems easily. If you are an IT professional, you know how important your role is to the success of an organization and if documentation isn’t currently apart of your daily practice, it’s time to start. So, pick up that notepad, create that GoogleDrive account and bring it up at your next internal meeting. You’ll be thankful you did.